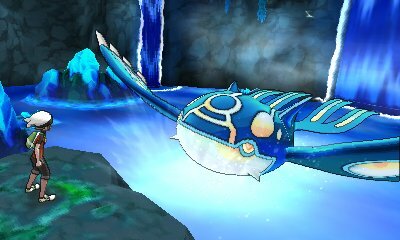 Like the other games, there are numerous Legendary Pokémon to be found within the Hoenn region. These Pokémon are the most powerful ones around and are very difficult to capture. 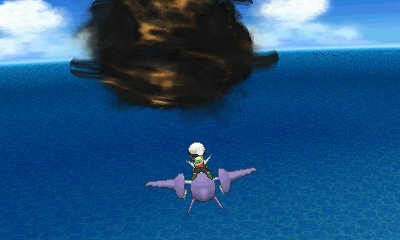 These games also include the highest amount of Legendary Pokémon to be in any Pokémon game. 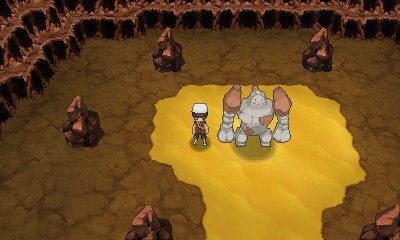 Regirock is found in the Desert Tomb, which is at the bottom of the desert in Route 111. Scribed on the walls inside is a message like the ones on Route 134: go right twice, down twice (best use the D-Pad for this) and then use Strength and the door to Regirock should appear. It's at Level 40, so be prepared. 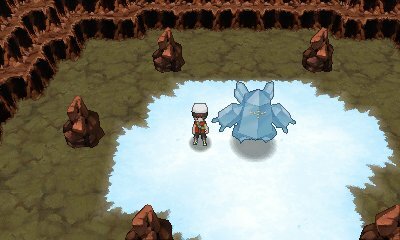 Regice is hiding out in Island Cave, which is on a small reef on the west part Route 105, requiring Surf to gain access. Once inside, you will find a message in braille telling you to wait. After two minutes the door opens and Regice can be fought. 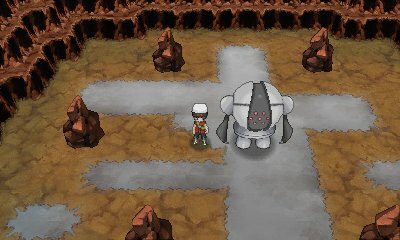 Registeel is the last of the three, found west of Lilycove in Route 120's Ancient Tomb. The answer to this riddle to is use Fly in the middle of the room. Doing so will expose Registeel. 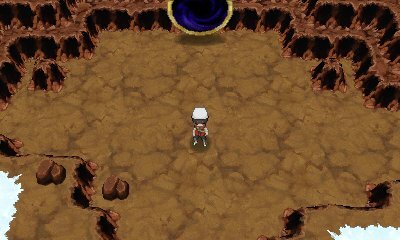 As you progress through the Delta Episode, you will eventually come to a climax which has you and Zinnia reach the top of Sky Pillar and awaken Rayquaza. 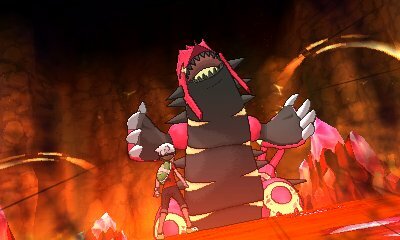 Rayquaza eats your meteorite and refuses to accept Zinnia as its protector, and instead wishes to challenge you. It's at Level 70 and requires capture to proceed. It also will require you to send a Pokémon back to your box from your team. 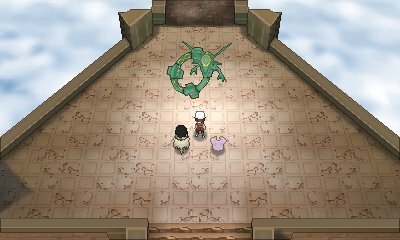 Immediately after capturing it, Zinnia teaches it Dragon Ascent and challenges you to a battle. It can Mega Evolve without holding a Mega Stone, but needs to know Dragon Ascent to do so. 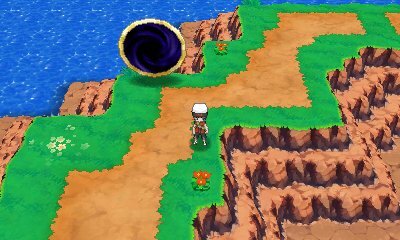 After defeating Zinnia with Rayquaza, you will then go up in space in order to defeat the asteroid which is heading towards the planet. Doing so has Rayquaza Mega Evolve and destroy the asteroid. 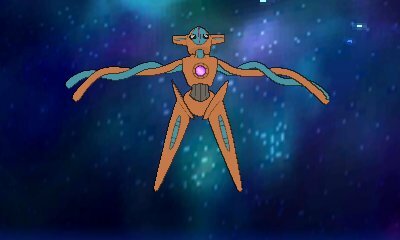 However, from the remnants comes the black triangle which opens up and unleashes Deoxys, who challenges you. 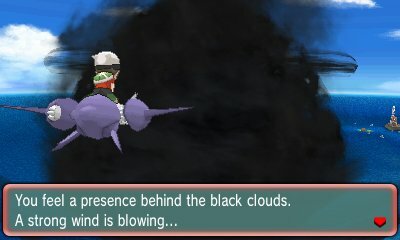 It is at Level 80 and your Rayquaza starts out Mega Evolved, so you cannot Mega Evolve any other Pokémon in the battle. 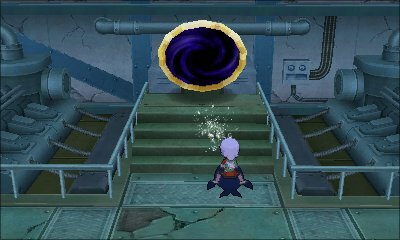 After you have dealt with Primal Groudon/Kyogre, when you go to Sea Mauville, you can hunt for the Scanner in the basement. When found, if you take it to Captain Stern in Slateport City, he will give you a key item. This item is the Clear Bell in Omega Ruby and the Tidal Bell in Alpha Sapphire. 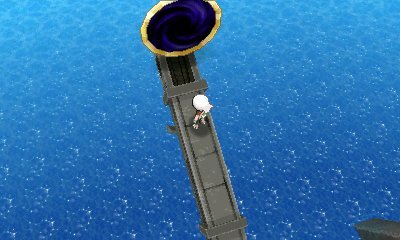 Take the bells to Sea Mauville and they will start to resonate, on the deck in Omega Ruby and in the underwate basement in Alpha Sapphire. 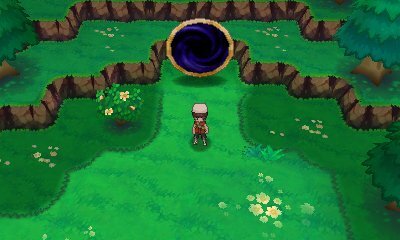 This causes a portal to appear. 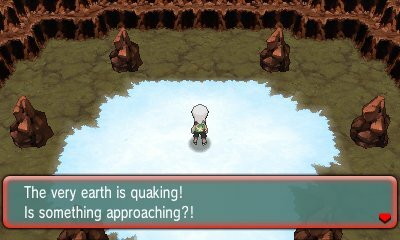 Interact with it and Ho-Oh will appear in Omega Ruby, and Lugia will appear in Alpha Sapphire. 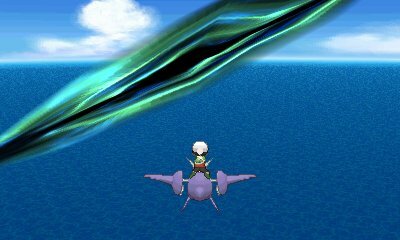 When you're Soaring in the Sky, you will sometimes notice random islands and areas having a star hover over them, or actually be in the sky. 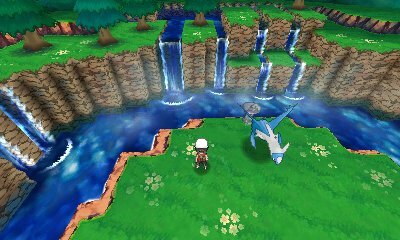 These Mirage Spots contain various Legendary Pokémon and can only be accessed by soaring. In addition to that, some only appear when certain requirements have been met. 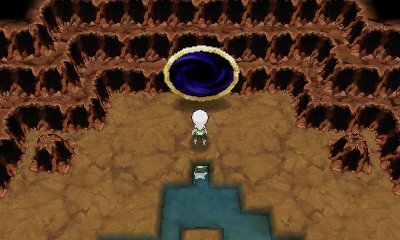 When Soaring around by Sootopolis City, you will discover a very small area called the Nameless Cavern. Inside the cave in the area, you will note a familiar pattern on the ground and a portal. 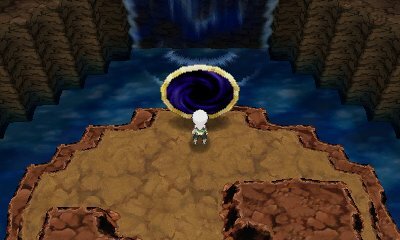 Interact with the portal and Uxie, Mesprit or Azelf will challenge you. Uxie can be found between 20:00 and 21:00, Azelf can be found between 21:00 and 03:59 and Mesprit can be found between 04:00 and 19:59. 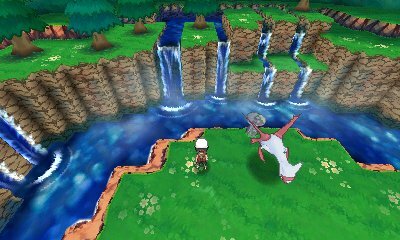 When Soaring in the Sky, if you have Lugia or Ho-Oh in your team, then a new area will open up. 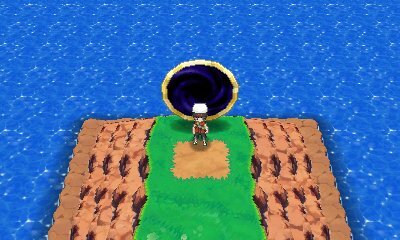 This area can only be accessed when one of the Pokémon is in your team. This area is located east of Rustboro City and is a small forest. 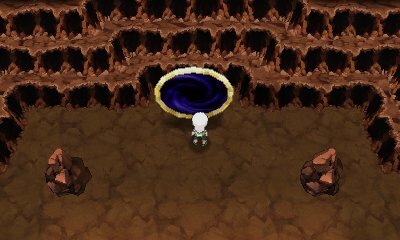 In there, you will find a portal which has Raikou, Entei or Suicune in. For Raikou, the time needs to be between 00 and 20 minutes past the hour, for Entei the time needs to be between 20 and 40 minutes past the hour and for Suicune, the time needs to be between 40 and 00 minutes past the hour.